Barkley drags "cloche" out of the 19th Century and into the social spotlight. Former FBI director James Comey’s testimony before the Senate Intelligence Committee on Thursday has fueled a spike in searches for terms like "vindicate" and even "Lordy." But the decline of democracy isn’t the only thing that drives Americans to their trusty dictionaries. This week, Merriam-Webster noted an unusual word had hit the top of its list of trending terms. A new ad from fast feeder Dairy Queen for a new lunch deal features a "cloche," a bell-shaped cover sometimes used for serving high-end food. 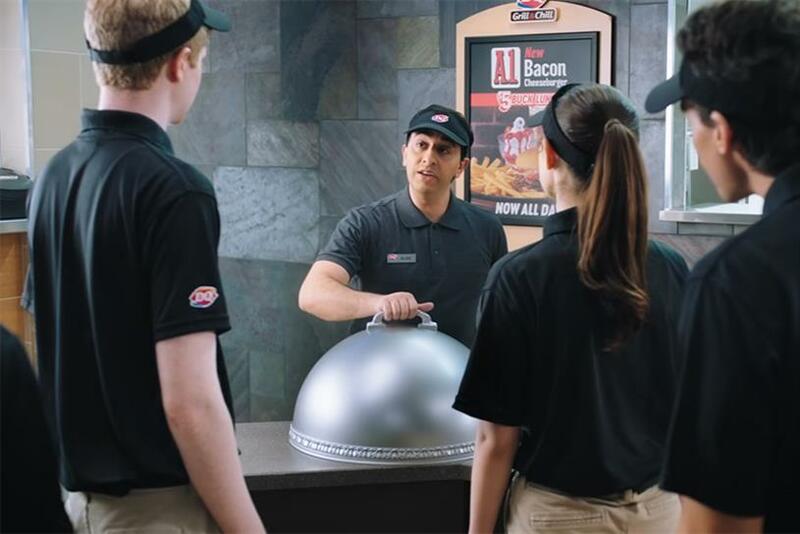 While the spot sent curious viewers searching for a definition, it also sent a record number of hungry customers searching for DQ’s new burger. "The creative strategy positioned the A-1 Bacon Cheeseburger as the most premium burger DQ offered. So after a lot of conversation debating degrees of fanciness, we thought, 'What's more premium than a cloche? Two cloches,'" said Berk Wasserman, group creative director at Barkley, the Kansas City agency responsible for the spot. "For a moment we considered three cloches, but 30 seconds limited the amount of cloche we could share with America. Luckily, our first instinct was correct—the two cloches proved to be highly effective." Over the past week, Dairy Queen has sold more $5 Buck lunches that it ever has before, driven by the popularity of the "Cloche" spot, according to the brand. DQ and Merriam-Webster had a moment of mutual admiration on Twitter over the event. "Cloche" is the third spot in DQ’s latest campaign promoting the $5 Buck Lunch. Previous spots have introduced the first recurring characters the brand has ever used in ads. "Alan, our over-enthusiastic brand zealot, is the cornerstone of the crew," Wasserman said. "Alan's not a traditional spokesperson," he added, but "more like the lead in our ensemble." The spots are shot in a mockumentary style familiar to viewers of TV shows like "The Office" or "Parks and Recreation." Assistant manager Alan is a bit too devoted to the brand he works for, McKayla is overeager and perky, Eddie is earnest and inventive and Todd is none too bright. The campaign, which consists of TV and social spots, is directed by Fred Goss, whose work on shows like "New Girl," "Brooklyn Nine-Nine" and "Modern Family" helped inform the style of the series. While the supremacy of "cloche" was lauded, it was only temporary. It was knocked from Merriam-Webster’s top spot by "salacious," yet another Comey-ism.